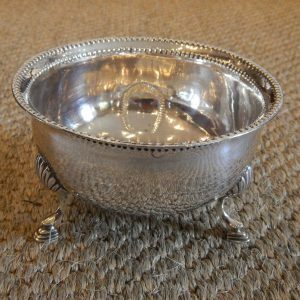 Silver bright cut basket, hallmarked Dublin 1802. 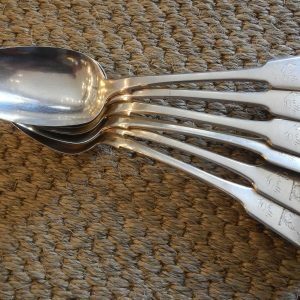 6 Irish serving spoons, Dublin 1822. 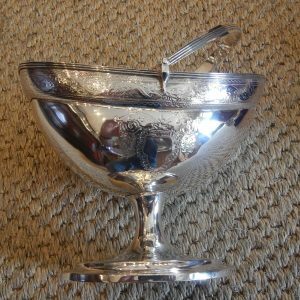 George III sugar bowl by Matthew West, Dublin 1811. 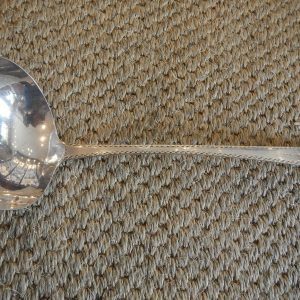 Beautiful silver ladle with bright cut pattern by John Pittar, Dublin 1802. 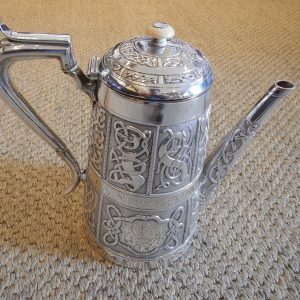 Superb silver coffee pot with Celtic motif, hallmarked Dublin 1869. 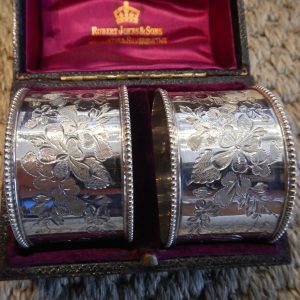 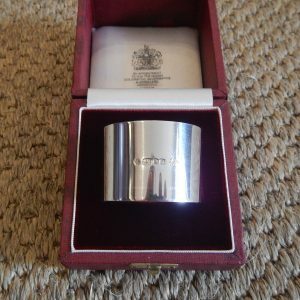 A boxed pair of napkin rings hallmarked Sheffield 1898.